Swans fans are behind the goal in the Stan Cullis Stand; the atmosphere in the stadium is excellent. The usual pies, burgers and hot dogs can be bought along with jacket potatoes, chicken wraps and chips. It’s best to keep colours covered near the ground and in the city centre. Wolverhampton – near the birthplace of Lenny Henry (Dudley); you may think that is the end of what Wolverhampton offers, but there’s much more. Art galleries, museums, music venues, theatres, and sporting activities can be enjoyed. Wolves Museum at the stadium gives the history of the city’s football club and the science behind the modern game. There are some pieces of rare memorabilia and artefacts that tell the Wolves story as well as videos from different eras. As with any city, there’s always load of shops, places to eat and drink as well as parks and open spaces. There is plenty to keep everyone entertained in Wolverhampton, so an overnight stay might be worthwhile. Take a 2 hour tour of Banks’s Brewery (WV1 4JT) learning about the brewing process, ending your visit with three free half pints of cask ale. You can also buy produce at the Brewery Shop. Tours are £8.50 and £5 for kids on Wednesdays, Fridays and Saturdays. Monmore Green Stadium (WV2 2JJ) has 12 dog races each Saturday night; entry is £6, senior citizens at £2 and under 18s free. TThe downside of a visit to Molineux is the lack of away friendly pubs. There are loads of pubs around the ground and in the city centre, but they don’t let away fans in. The Hogshead (WV1 1NA) has plenty of craft beers with Bohemian Bar (WV1 1EQ) offering similar with a few ciders on tap seem to be the only welcoming places in the city centre. There’s a small bar inside the Premier Inn near the train station for away fans. Leave the station, turn right and you’ll see a walkway under the station. At the bottom of the walkway turn left and after a short walk you’ll see the Bluebrick on the right. Lager, bitter, cider and stout is served in the stadium. The city centre car parks are handy, but busy with shoppers and long queues going in and out. 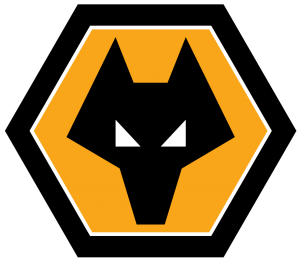 Better to park in car parks away from Molineux and walk 10 minutes and you’ll get back on the motorway easier after the game. There’s some street parking on a small industrial estate near the train station. It’s near Kennedy Road (off Culwell Street). It’s then a ten minute walk to Molineux. The ground is a 15 minute walk from the station in the centre of the city. Trains leave Swansea at 08:29, 09:29 and 10:29 for the 3 hour 20 minute journey. After the game 17:17, 18:17 and 19:00 trains get into Swansea at 20:42, 21:43 and 22:44. Lenny Henry was born in Dudley, not Wolverhampton!! !